What Sergio Marchionne & Maurizio Arrivabene have done for this team is unreal. Not only they entirely rebuilded our team but we have the best Power Unit without a massive Rules overhaul. 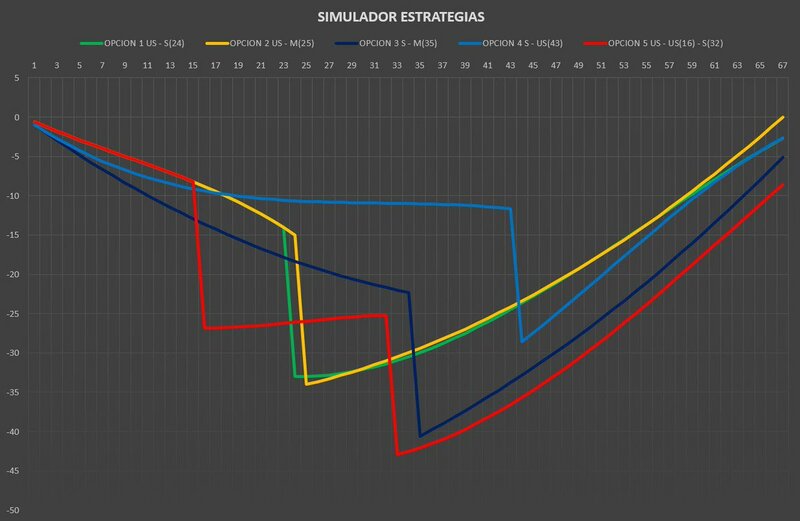 When F1 switched to V6, Mercedes had a clear 2 second gap to everyone, and now they're crying for our engine's legimacy. If Ferrari wins WDC & WCC this year it should be dedicated to Sergio! Fully agree.. but should also give credit to Mattia Binotto. I think he's the genius behind this but always not in the spotlight. Any one at the track now? What is the weather like? + 1, and Binotto's input seems to have made a huge difference too. I have just read that Sergio has been forced to step down with immediate effect and I find this very sad, I'm sure all of us would wish him all the luck in the world with whatever has caused this sudden downturn. He has been instrumental in re-building our beloved team. Grazie mille Sergio. btw. it seems to be rain-risky today at hockenheim with 60% chance of rain. ( https://www.wetteronline.de/wetter/hockenheim ) I am a bit stressed, with incoming rain you just never know. Anything can happen. Let's hope there'll be no Singapore 2.0 again here. Last edited by mwk360; 22nd July 2018 at 10:43. Negative no rain in vacanity on weather radar for now. I think the highest Hamilton can get is 5th in a 'normal' race if the top 4 (Seb, Kimi, Bott & Max) are reliable. Vettel needs to convert the pole into a win, this should open a points gap of 23 if Hamilton does finish 5th. Last edited by mizf1; 22nd July 2018 at 11:05. I think the highest Hamilton can get is 5th in a 'normal' race if the top 4 are reliable. vettel needs to maximise his pole and go for the win, this should open a points gap of 23 if Hamilton does someone finish 5th. 100%, but im worried about mercs new start they worked two weeks on and we know that mercs are desperate and have "interesting tactics" on their mind. S & US are Degrading much faster than expected if it’s dry. I think Ferrari will go for US-M, but on M tyres mercs is much faster. I wonder how ferrari will work this out. Can anybody post tyre compounds left for each driver? Of course I got your point, but I’m taking into the account is deg which is high if it’s too hot. Vet, kimi, bottas have a set of US, the same for ham & ric. Max on back foot. If any VSC comes out in last 10-15Laps, that gives free pitstop to the top3 teams. Considering their (ham & ric) pace, they can challenge for podium or win right if vet or bottas or kimi doesn’t pit for fresh US. Dont understand why we dont keep 2 US for the race in case of later SC. It happened a lot in the last few races. Great to have an unused tire with 15 laps or so to go. I’ve seen recent couple of starts from Ferrari, difference from last year to this year is after the initial launch there is 2nd launch that’s where Ferrari gaining ahead of rivals making the difference. But added to this there is a problem too, if you don’t get the tyres to working range during this launch they gets overheated & causes lock up or understeer around 1st corner. 1US is enough..!! As it’s a 1stop stragtegy, if a couple of SC or VSC comes out early it will help in tyre management too. If VSC or SC is out during last 10-15 laps of the race, then it will be free pit stop can go for US. 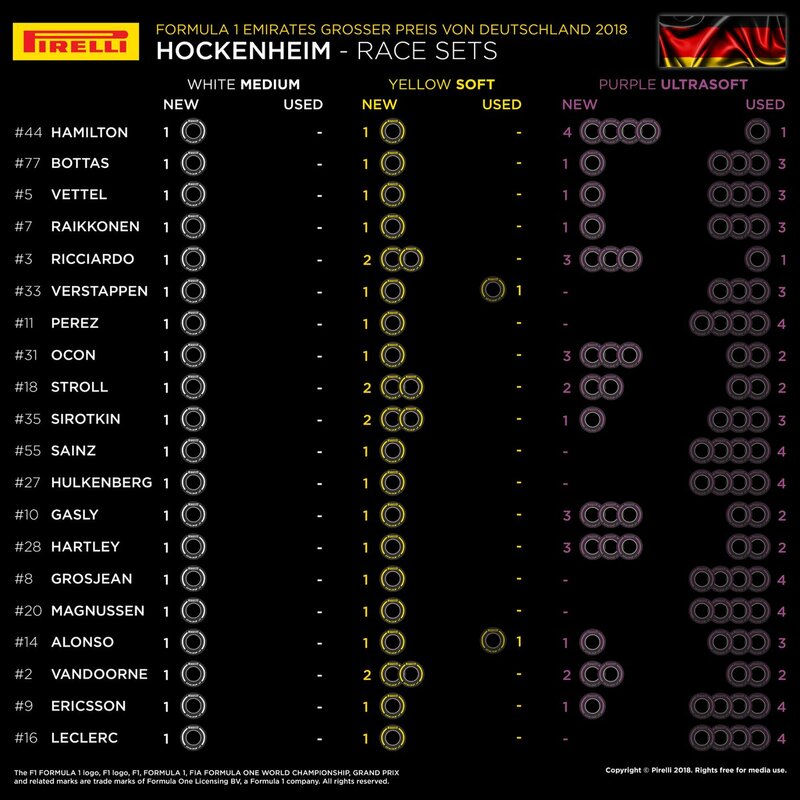 If you see Ham & ric there are 4US tyres left, but it doesn’t make sense if it’s a one stop strategy. I hope this is a boring race with seb escaping at the start with no safety cars and incidents! Please! If VSC or SC is out in the last 10-15 laps of the race, they it will be free pit stop can go for US. If you see Ham & ric there are 4US tyres left, but it doesn’t make sense if it’s a one strategy. Thats what i'm saying 10-15 laps with new US. You wont have a new one, because you have already lost the only one you have in the 1st stint. I think SC/VSC will be inevitable in this race. I just hope it wouldn't mess up our strategy and/or give Ham an advantage. Fingers crossed! The FIA confirms that David Coulthard will interview the TOP 3 drivers and NOT Rosberg who was suppose to interview the drivers but a driver objected to this.